In the Stor Elvdal municipality you will fin a good variation in nature, with moutains, forests, waters and rivers. It has rich opportunities for fishing in over 50 lakes, and more than 90 kilometer of rivers. You can combine the fishing trip with kano padling in the calm sections of the mighty Glomma river. 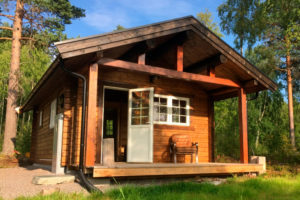 If you like hiking into the open mountain planes, or experience the quaint mystique of the deep forest and its many lakes, Stor Elvdal have it all. Glomma fishing association offers a general license for all these areas. 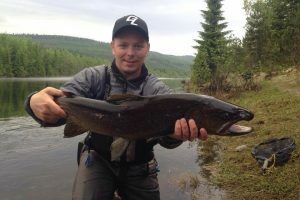 Glomma river is the most recognized fishing in the area and you will find it in god variation in pace and habitat. No matter what your style of fishing is, you will find it here in Glomma river. Glomma contains good numbers of fish and in good size as well. Every year travelers from all over Europe visit this region for fishing and recreation, many of them come for the popular grayling fishing. However the fishing here is a lot more than the Glomma river. Many of its tributaries are well worth a go, and many of them contain big trout on feeding or spawning migration. The bulk of the fish in these places, admittedly, are smaller stationary fish. The license also cover a number of forest and mountain lakes. Most a f them contain trout – often in co-existence with species like arctic char or perch. Some of the waters contain really big trout and can give you the experience of a lifetime. Some mountain lakes require for you to hike for a while, but at the end you will find wild un-caught fish and solitude. The general fishing license gives you access to fishing in over 50 lakes, and more than 90 kilometer of rivers. 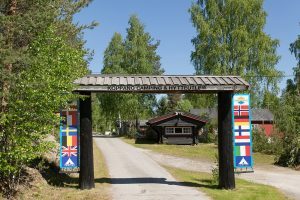 Storhovden, Vesle Hovden, Halasjøen, Stauptjern, Staupsjøen, Himmelsjøen, Husmannstjern, Hovda, Staupa, Hemla, Svartsjøen and Harptjern at Opphus. 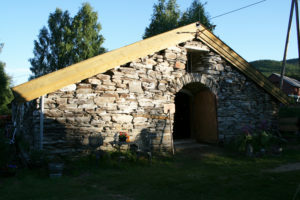 Store and little Myklebysjøen, Store og lille Helgetjern, Søkkundsjøen, Søkkunda og Eldåa. Bjørsjøen, Abbortjørna, Gustutjørna, Trytjern, Trya, Lauvåsvannet, Fåfengtjern, N. and S. Bjøråa og Gråsjøen. NB: This fishing licence does not apply for the Atna water system or Friland, or in Private zone. 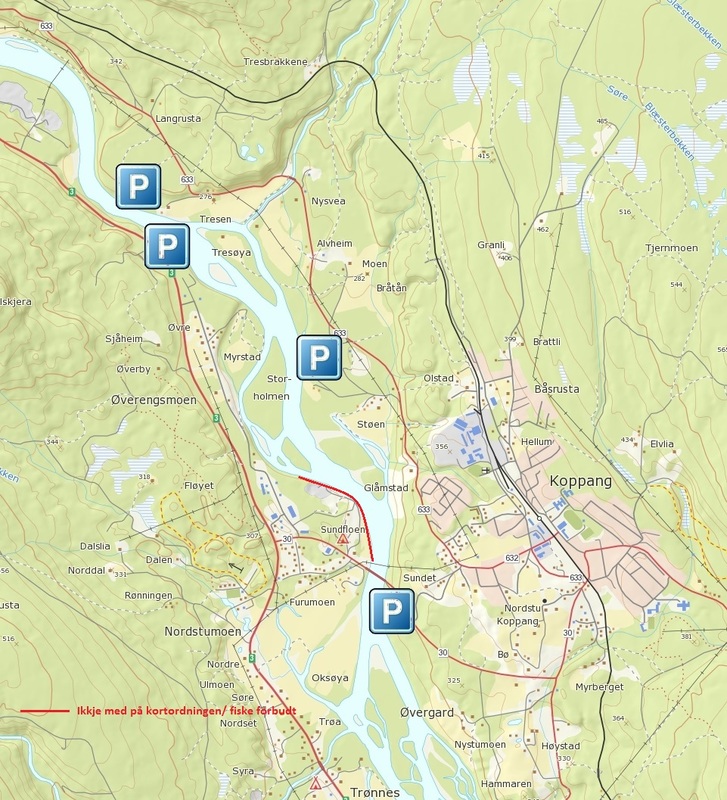 The common fishing license for the entire area – including the Sundfloen Fly Fishing Zone. The common fishing license for the entire area – excluding the Sundfloen Fly Fishing Zone. License can be obtained online or with local vendors such as gas stations and camping sites. Open year round. All trout are protected from September 15 to October 31st during the spawn season. Please not there are special regulations regarding opening dates on the Glomma. Fishing license: All anglers over 16 years old must purchase a fishing license prior to fishing. The fishing license must be on your person and must be presented upon request. Fishing licenses are non-transferrable. Children under the age of 16 do not need a fishing license, but are otherwise required to follow all regulations. Fishing from a boat is only allowed in the Glomma River. Fishing from inflatables is only allowed in the Glomma River and Lakes Gråsjøen, and Bjørsjøen. Fishing with live bait is forbidden, with the exception of worms. It is forbidden to use any type of net or trap when fishing in rivers and streams. All fishing with any type of net is forbidden within 50 meters of the inlet and outlet of any lake where netting is allowed. Fishing with a planer board, trawling lines, traps, and gaffs is strictly forbidden, with the exception that gaffs may be used when ice fishing for pike and burbot. For pike and burbot it is allowed to use traps year round. Planer boards may be used on the glomma river between the Messeltfossen waterfall and the Spongfossen waterfall. 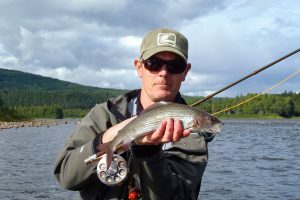 Maximum size limit: trout and grayling over 35 cm in length must be released with the following exceptions: Each angler may kill and keep up to one fish (trout or grayling) over 35 cm per 24 hours. Although we ask that you practice catch and release as a way to preserve the quality of fishing here. Bag Limit: 5 trout and 5 grayling under 35 cm in length, and maximum 1 fish over 35 cm per angler per day. Supervision: All anglers must show their fishing license upon request, along with valid identification. Failure to follow regulations: Blatant disregard for fishing regulations (for example failure to purchase fishing license) will lead to a fine of kr 2000 – and can lead to arrest, confiscation of gear, and future ban on fishing. Take your garbage back home, don’t leave it in nature.